A brand-new store opened in Tokyo’s Harajuku fashion district on Friday, walls lined with clothes, shoes and handbags — and with a twist: shoppers will walk away empty-handed. The GU Style Studio store — opened by Fast Retailing Co., Asia’s largest clothier and the operator of Uniqlo — is for customers to try apparel and place orders online for later delivery. They can also try out extra services, such as playing with clothing combinations on a virtual mannequin and creating a digital avatar. Although the notion of showcase shopping has been around for a while, and remains somewhat popular in Europe, such stores have usually been reserved for electronics, household items and knick-knacks. Seldom has the idea been pursued in the clothing sector. But as the rise of e-commerce threatens to upend the global retail industry, apparel makers are experimenting with new ways of selling clothes. The line separating online and offline storefronts is becoming blurrier as e-commerce moves into physical locations and brick-and-mortar retailers shift to online. That’s resulted in new shopping experiences such as Amazon’s Prime Wardrobe, which sends boxes of clothing to customers to try on, letting them send back what they don’t like. GU isn’t the first to open a try-on store; Inditex SA’s Zara also temporarily opened a look-and-buy outlet in Tokyo’s Roppongi district this year. GU has steadily grown into a key pillar of Fast Retailing’s business, accounting for about 10 percent of revenue in the latest fiscal year. It has almost 400 stores across Asia, mainly in Japan, Taiwan and mainland China, and is known for being more affordable and more fashion forward than its bigger sibling, Uniqlo. The GU brand has also historically been more experimental with technology, being the first in Fast Retailing’s portfolio to introduce RFID tags and self-checkout. 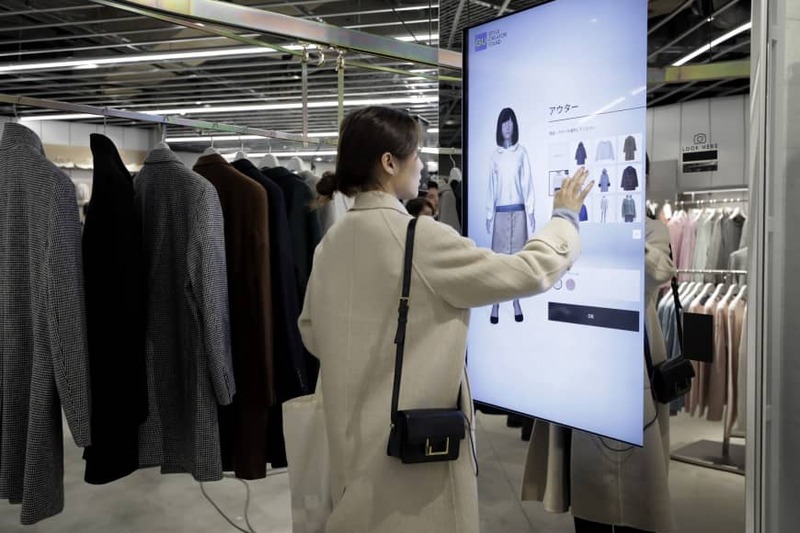 In 2017, a futuristic digital store popped up in the city of Yokohama with screens on shopping carts recommending various clothing combinations as people walked through the store. JP Morgan’s Murata said GU’s new Harajuku outlet could be a template for rolling out smaller shops in cities that don’t have space to store inventory. He said it could be applied to Uniqlo as well. 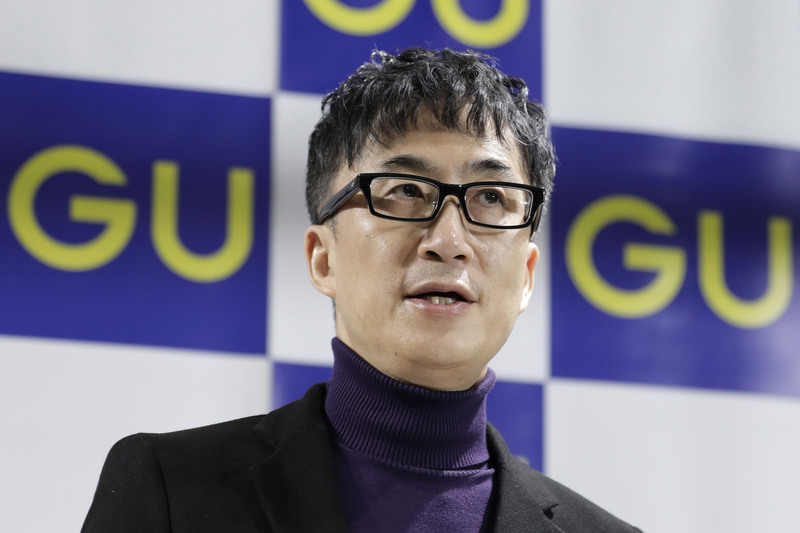 But Osamu Yunoki, GU’s chief executive officer, said the company hasn’t decided whether to adopt the concept for Fast Retailing’s other brands, or other conventional GU stores carrying inventory. Shoppers at the new GU store can scan QR codes attached to clothes to bring up purchase links on their phones, and are also encouraged to test clothing combinations on a virtual mannequin on a separate app. Cameras placed in the store can also be used to create a virtual avatar of shoppers, although the resemblance was unconvincing. 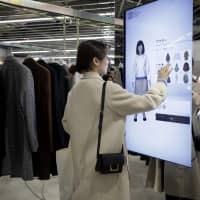 The store is able to collect and use data on how customers are shopping, such as what items customers are scanning into their phone, which clothing they try on and whether they purchase it or not. That could serve an important function for Fast Retailing’s efforts to automate its entire supply chain. “That kind of data from customers can be connected immediately to product development and manufacturing plans,” Yunoki said. At the same time, he said, the company is trying to offer something new for shoppers.